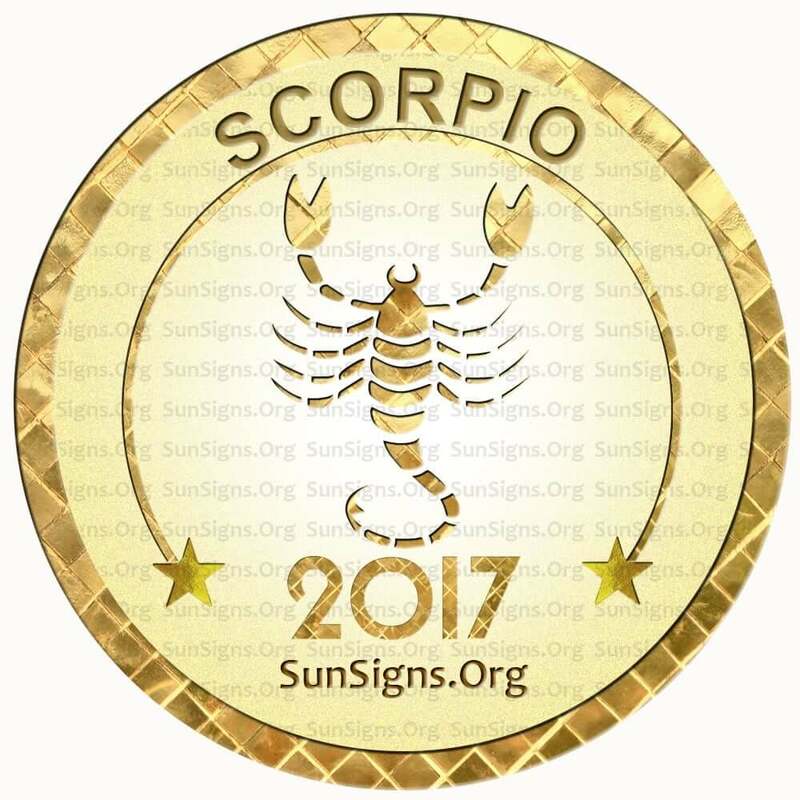 The Scorpio horoscope 2017 predicts that this year you will have your ups and downs, but remember to try to stay as optimistic as possible. The more relaxed and less stressed out you are the more likely you are to succeed. Take things one day at a time. The calmer you are, you will be more fruitful. The birthday horoscope 2017 also says that the Scorpio star sign will get a lot done this year in both career and social life. But that it doesn’t mean that you need to move quickly. Take your time; this is one way that you can stay in your comfort zone. However, the Scorpions should also try some new things this year; it is sure to make your year all the more interesting and exciting! No matter what star sign you fall under, you are bound to at least be a little curious about the future. Scorpios are no exception to this rule. You are a Scorpio zodiac sign if you were born between October 24th to November 22nd. Every sign has traits that can help or hurt them in the upcoming year. Scorpio is a brave, but balanced sun sign. They will do whatever they need to in order to accomplish this goal. The 2017 Scorpio astrology also predicts that they are faithful to their friends and partners at the same time. They are sometimes secretive about what they are up to, and they can get jealous easily. If you are a Scorpio man or Scorpio woman you must play to your strengths if you want to have a good time in 2017. 2017 for Scorpio will be good if you are able to keep your relationships balanced. Be it an old or new relationship, you are bound to have an exciting and passionate time in bed! If you are looking to make new friends, then join a group or club involved with something that you are interested in. Scorpio, this is a great way to do things that you love in 2017 and meet people who love the same things that you do. The 2017 Scorpio horoscope predicts that since you are likely to be working more, you are also likely to make more money than you have before. If you are currently facing financial problems then this could be your way out! Once you are done struggling with your finances make sure that you do not begin to splurge again; save your money for a rainy day. Don’t waste your money on useless purchases. 2017 for Scorpio is a year of energy for most zodiac signs, Scorpio included. With this energy, you should put your body to work. Exercise to keep yourself in shape. The mental energy for the Scorpio sun sign will also be greater this year than it was in previous years. The Scorpio horoscopes 2017 suggest that just as you must use physical energy for your benefit, you must also use your mental energy to your advantage. This can be especially helpful at work or school. Things are likely to feel like they are going faster than usual for the Scorpio in 2017. While this is likely to be stressful, don’t let yourself get too worked up because of it. If you are too stressed then you are more likely to become ill than if you were to just go with the flow during the course of the year. January 2017 is a month filled with romance and love for the scorpions. Online dating is a good idea. February 2017 will be filled with fun, pleasure and relaxation. March 2017 is a positive month for seeking jobs and employing new people. April 2017 with a Mercury retrograde 2018 asks you to be emotionally stable. May 2017 is an excellent month for pay rises and new jobs. June 2017 is a month of changes for the Scorpio zodiac sign both on the personal and professional front. July 2017 is a month when you need to reduce your stress and tension. Avoid arguments. August 2017 can be an impatient month which could lead to future problems. September 2017 could be a month for love affairs, even an office romance. October 2017 asks you to think twice before making major financial decisions. November 2017 is a month of major transformations and changes. December 2017 is a month when the Mercury retrograde will affect your life. So don’t jump into things hastily! The 2017 Scorpio horoscope shows that being relaxed and chilled out is the best way to deal with the coming year. So don’t get stressed and be calm. Pursue and see it through if thats what your heart says.